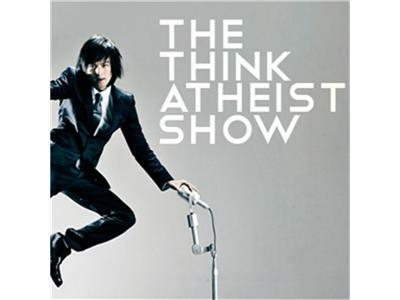 If you liked this show, you should follow Think Atheist. Dr. Hoffmann did his undergrad work in physics and mathematics at Technische Universität Clausthal in Germany before receiving an MS in physics at Southern Illinois University and a PhD in materials science and engineering at Johns Hopkins University. Previously a Research Fellow at Oxford University, he is a Professor of Physics and an Associate Dean at Michigan's Wayne State University. One of the founders of Wayne State's Biomedical Physics Program, he conducts research in the Nanomechanics Laboratory using Atomic Force Microscopy to peer into the internal machinery of cells. Dr. Hoffmann is the author of the just released book Life's Ratchet: How Molecular Machines Extract Order from Chaos. We asked Dr. Hoffmann to join us to discuss his new book. During the course of our discussion we discovered just how deeply the physical laws that govern the universe underlie life's processes. It's a fascinating topic and we're thrilled Dr. Hoffmann could join us. Give a listen!